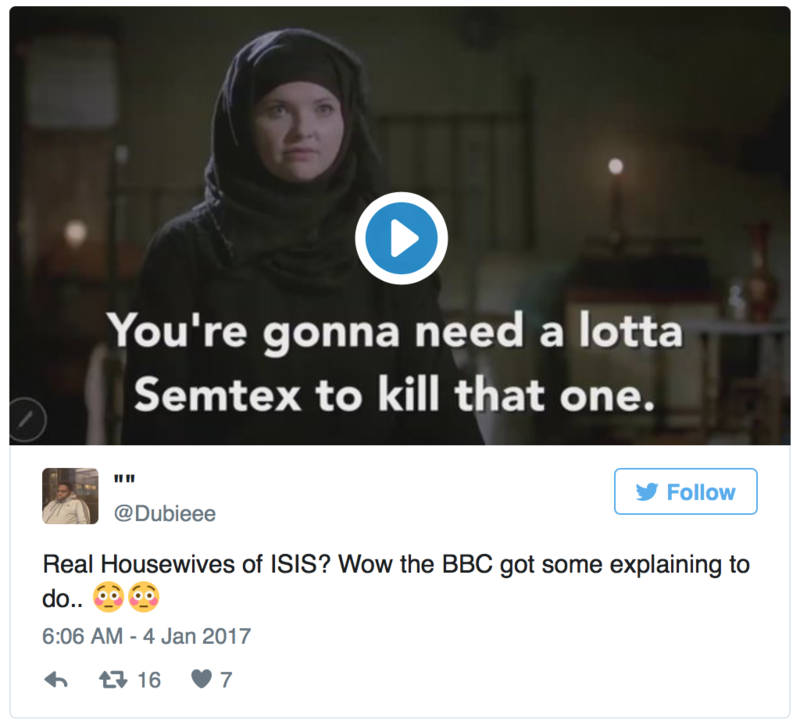 January 5th, 2017 – While the Real Housewives of Orange County are on hiatus, you can get your fill of housewife life with the new BBC Two sketch The Real Housewives of Isis. Yes, Isis. The controversial bit is part of the network’s comedy show Revolting, which debuted Tuesday night to a polarized audience. Paying homage to the Housewives franchise, the Isis crew spends time talking fashion, their husbands and their chaotic lives. 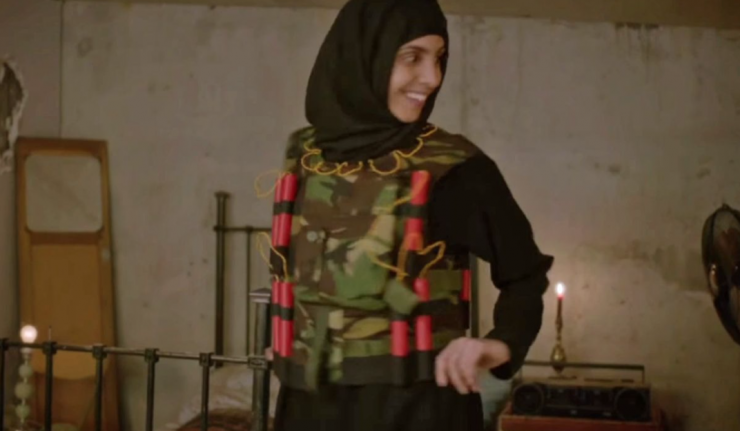 These “jihadi brides,” however, don’t argue about who got too drunk off of champagne but rather who looks massive in a suicide vest. 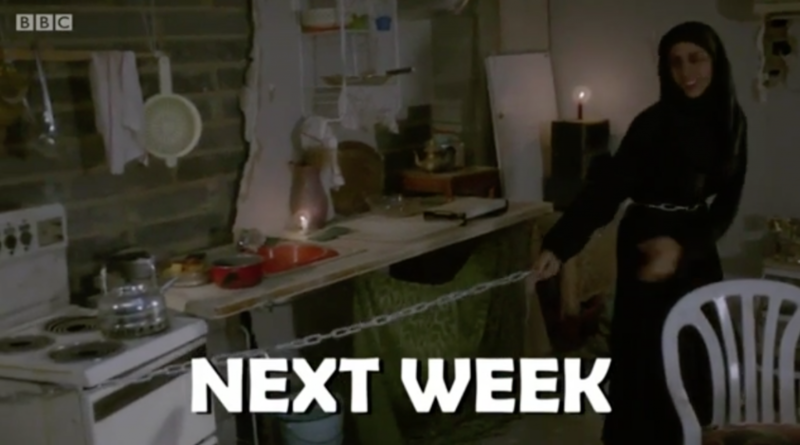 The clip also teases other conundrums the women, Afsana, Mel, Zaynab and Hadiya, will face now that they’ve moved to Syria. Tears flow over a husband who can’t quit talking about his 40 virgins and a husband who has bought one of the new brides an eight foot chain. “So I can almost get outside, which is great,” the woman confesses to the camera. Revolting is a follow-up program to The Revolution Will Be Televised. Five episodes are scheduled to air in the coming months of 2017 and stars Heydon Prowse and Jolyon Rubinstein. 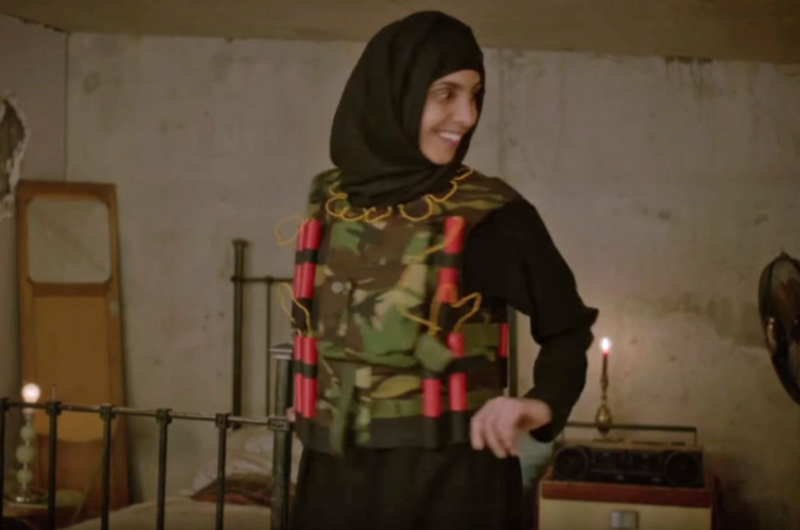 Although the show has only aired one episode and describes itself as a “comedy series satirising the state of the nation,” The Real Housewives of Isis sketch has garnered BBC Two a lot of attention. 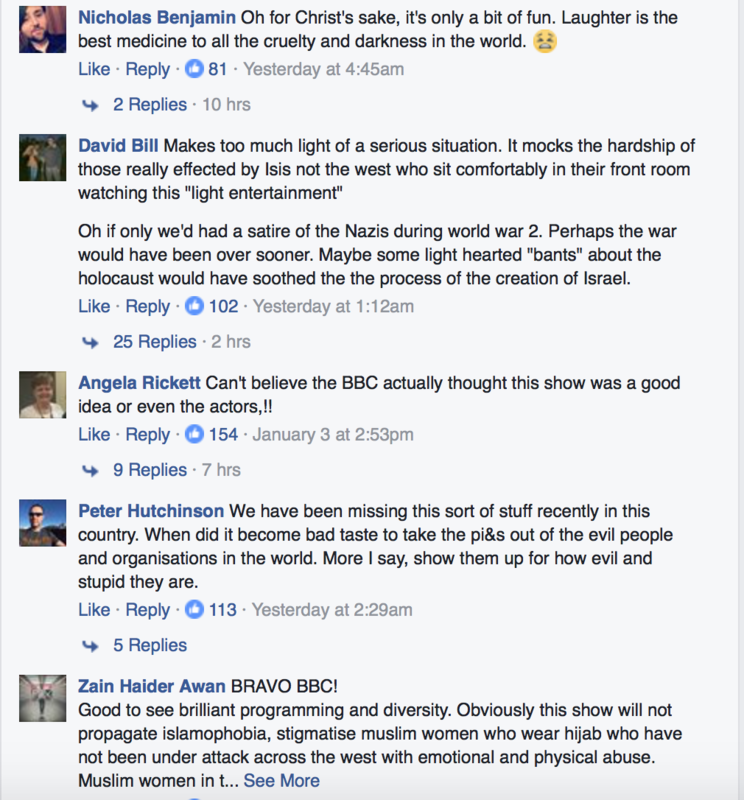 Under the show’s post on Facebook, users have not shied away from expressing their views, as they’ve now added nearly 100k comments. 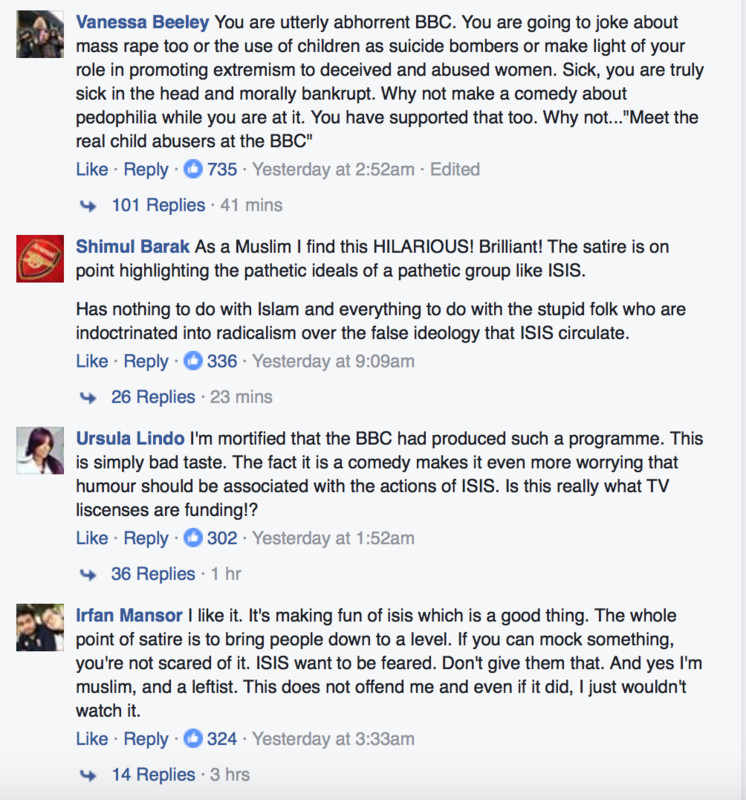 Those views bounce back and forth between defending satire and taking power away from a terrorist organization to the insensitivity in making light of a serious situation and questioning how the network allowed the programming. Watch the clip below (provided by Metro.co.uk) and give us your opinion. Do you think the sketch is FUNNY or OFFENSIVE?